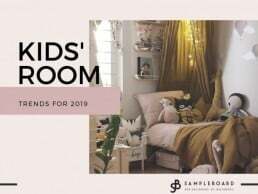 As we impatiently await and contemplate trend forecasts for kids’ rooms in 2018, the year that embraced soft pastel hues, wood and minimal Scandinavian chic packed its bags and hit the road. We have seen coziness reach a whole new level with rooms so warm and snug that they were able to melt the stubbornest of icebergs. Making kids feel relaxed by creating a place distinguishable from the busy outside world while getting back together alongside Mother Nature with teepees, tents, mountains and woodland creatures. 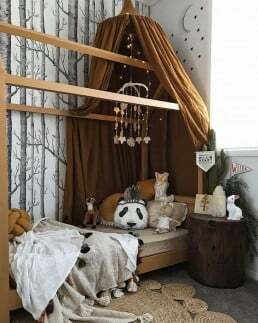 The most natural and pleasant of all materials, wood took root in furniture, especially nursery furnishings and all kinds of different toys, driving parents to settle for quality over quantity. But what novelties is 2018 going to bring into our most precious ones’ rooms? We can clearly see that some trends have enthroned themselves firmly determined to stay, while others seem to be on thin ice. What trends will take their place? 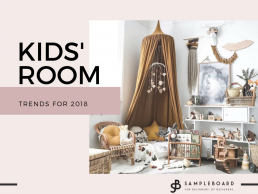 Based on our interior design experience and a bit of a lucky guess, here are SampleBoard’s predictions for what’s going to be hot and what’s not in kids’ rooms in 2018. 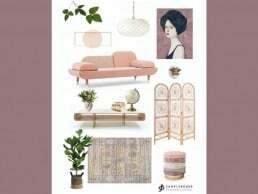 2017 was all about soft pastel colors and their gentle counterparts, pale turquoise, soft terracotta, light grey, and beige. From walls to plush toys, everything had the recognizable signature of these pleasant hues. What was not to love about them? They reminded us of the child’s innocence and cheerful spirit. 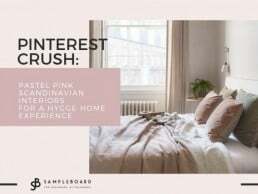 Although pastels are probably not going to be disappearing anytime soon, next year will give us a taste of more sophisticated and mature hues. 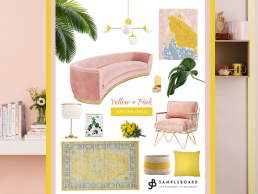 Mustard and golden yellow will be popping up everywhere as striking accent colors against neutral backgrounds such as gray, beige or pure white. 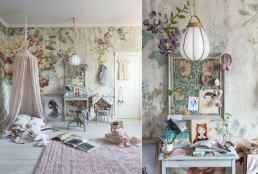 Also, we’ll be seeing muted greens, blues and pinks alongside refreshing dim purple hues adorning the walls where once resided the tender paints. 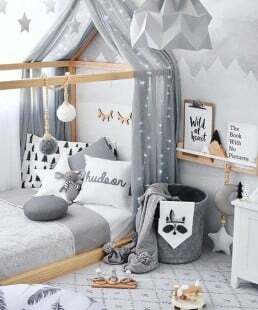 Color schemes are getting more and more complex, and many accent colors we used to meet in kids’ rooms will evolve into their earthy shades and become the new neutrals. Fortunately, the unbreakable bond with Nature is not going to snap this year! This trend has been going around for some time now probably due to the rise in millennial parents who are starting to realize how much they’ve managed to distance themselves from the great outdoors in their chase for technology. What do we actually mean by nature? Wood is a must – cribs, beds, storage, shelves and especially toys, alongside natural textiles such as organic cotton and linen. Everyone’s favorite nook, the teepee is also not going anywhere (though it won’t be as popular as it was last year) and will still remain the best way of simulating the freedom of living in the outdoors. Having plants in rooms settled with young residents (nurseries are an exception) has never been a great idea and you can probably guess why. So, we are going to turn it up a notch by introducing greenery through large floral prints and wallpapers, and paintings with plant and flower motifs. Walls are not the only ones that are going to flourish – bed sheets and other textiles will blossom with the spring of 2018 too. We will be seeing a comeback of one particular style we are all very much familiar with – Boho chic. When you think about it, it’s perfect for kids’ rooms! A blend of bold colors and vivid patterns create a different kind of warmth and relaxing atmosphere than the pastel one, yet equally effective. So, how do you actually go Boho? First of all, go wild with colors, they don’t even have to match! Get some patterned textiles, rugs, tapestries and lots and lots of pillows and then finish off with a graceful and dreamy canopy. Mix new pieces with some vintage finds and the room will get that well-loved charm everyone is so crazy about. We will be leaning towards more simple, sustainable nurseries. What does that mean? In particular, everyone will want to go for a look that will last. Babies grow fast and very soon become toddlers and, with a blink of an eye, turn into young girls and boys. And they wouldn’t want to be stuck with a baby room. 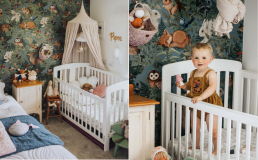 As designers, you know how much money and effort needs to be put into decorating the perfect nursery. And parents will soon find out how quickly their family is going to outgrow it. Instead, create a neutral setting that can grow with a child and then add a couple of accessories that bring that “baby look“ to the room. However, by neutral we don’t mean boring! Remember the colors and florals we were talking about? 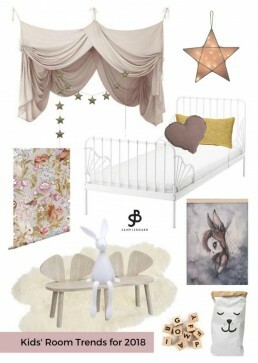 As far as nursery furnishing is concerned, re-usable is the new buzz word! Think about cribs that can be converted into beds, dressers that will last a lifetime, diaper boxes that can be reused for storing toys, books and other clutter. Your clients will be grateful to realize that after a brief period of use they won’t be stuck with a bassinet or a changing table that cost a lot of money. Think practical and timeless. 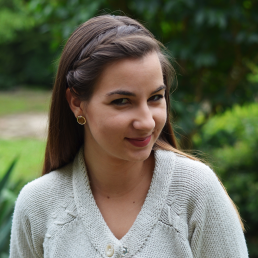 Out with clutter! As more and more parents around the world start thinking Montessori (the less is more and more room – more fun rules) kids’ rooms are getting de-cluttered. Instead of showering their children with an avalanche of toys, parents will be opting for fewer, more unique and good-quality toys and accessories, teaching the little ones to value what they have. That also means more space for play! 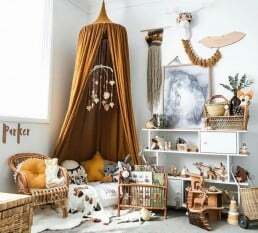 The trend of Escapism has grown to be a dominant influence on kids’ room design. That means creating a haven of calm and tranquility for the little ones. This can be achieved through a fantasy theme where the little explorers could get lost in their wonderful adventures, or a more laid back, minimal approach where they’ll seek time to relieve themselves of stress and discover a sense of inner calm. So, to sum it all up, Nature is going to be seeping in from all angles with rich tones replacing pastels and their gentle friends, in rooms that grow with children. Quality over quantity trend will bring with it a de-cluttered room with more free space. What do you think? Are these trends going to dominate 2018? 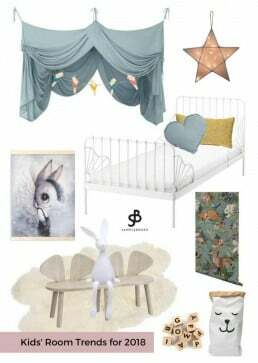 Tell us your thoughts, after you take a look at the mood boards featuring our most favourite products for little ones’ rooms. They were both made with SampleBoard, so you can find the product info if you click on them.